Unemployment rose in Wales between December and February while in the UK as a whole it continued to fall. Between those three months 4.5% of over 16 year olds in Wales were unemployed, which is 6,000 more than in the previous three months. UK unemployment stands at 3.9%, the lowest level since 1975, according to the Office for National Statistics. The latest figures also show that there were 12,000 fewer people employed in Wales between December and January. North east England has the highest unemployment rate at 5.6% of all the UK nations and regions. Clearly for the individuals concerned and their households it is not good news that there were 12,000 fewer people working in Wales between December and February compared with September to November. However, we need to be cautious as it is too early to say whether this is a worrying trend. It also is not good that the rate of unemployment in Wales continues to be worse than the UK average. But again, we do need to remember that generally UK unemployment is at an all time low, in fact the lowest it has been since January 1975. When you analyse these statistics further it is interesting to see that compared with a year earlier there are 46,000 more people employed in Wales. Also that it looks as though those additional workers have come from the pool of "economically inactive" people - those who were not working because they were sick, caring for others or students. In most of the other nations and regions of the UK, the increase in employment has come from people who had been unemployed. Economy Minister Ken Skates said the UK government's "chaotic approach to Brexit" had not made things easy for many businesses. 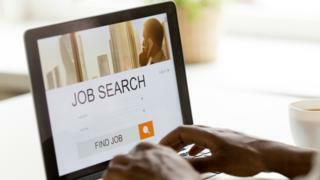 "It's encouraging to see all measures in Wales continuing to trend in the right direction in the year, with 46,000 more people in employment and both economic inactivity and unemployment down," he said. "This is in no small part down to the continued programme of Welsh Government business support - working directly with businesses of all sizes to address real business needs."